Experience the greatest bike trails NY has to offer with the help of Fun New York's comprehensive guide. See a list of fun-filled New York bike tours where you'll get to view beautiful scenery and experience a great workout. Enjoy the most memorable expeditions through the great state of NY by taking advantage of one of these NY bike trails. Delivering Top Customer Service for over 30 Years! Danny's Cycles opened in 1967 with a singular vision to deliver the best customer service. Being riders themselves, the owners are always in tune with the needs of riders throughout the country. The staff takes pride in helping you select the right bike, carrying all major brands and a great selection of parts and accessories. You'll also find a nice selection of clothing, helmets, shoes, and car racks. The store serves riders of all ages, from beginners to experts. Store hours are 10 A.M. to 7 P.M. on weekdays, and 10 A.M. to 6 P.M. on weekends. Danny's Cycles also has locations in Scarsdale and Rye Brook; and one in Stamford, CT.
An NY Bike Shop owned by Cycling Enthusiasts! Founded in 2009 by veteran cyclists, Echelon Cycles boasts a staff with a total of 25 years in the cycling industry. The goal of the store is to welcome its customers in every way possible and help them make informed decisions when it comes to choosing the appropriate bikes. The inventory includes road race, road sport, triathlon, cyclocross, track, mountain, downhill, urban commuter, urban track, hybrid, trendy comfort, BMX, kids', and folding bikes. 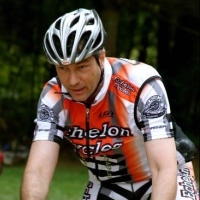 Echelon Cycles also offers bike rentals, which come with complimentary helmets and locks. If your bike needs repairs--the sales and mechanical staff is regarded highly for its professionalism, knowledge, quality, and expertise. The staff commits to repair each bike on time for reasonable prices. Services include fixing flat tires, tune-ups, and overhauls. One of the Biggest New York Bike Trails! If you're seeking the coolest NY bike trails, grab your bike and explore the Hudson River Valley Greenway Trail! 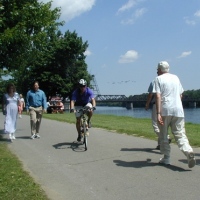 The trail system consists of a land trail for walking and biking, as well as a water trail for paddling and boating. By far, the trail is the biggest car-free bike and pedestrian path in the New York City area, running 11 miles between Battery Park and the Little Red Lighthouse under the George Washington Bridge. During the trail you'll pass through Hudson River Park, Riverside Park South, Riverside Park, Fort Washington Park, and other locations. If you need directions to the trail heads, a map is included on the website. Beginning Cyclists are Always Welcome! At Zen Bikes you'll find bikes and accessories from such popular brands as Tern, Felt, Scott, Dahon, Bianchi, and Kona. The store embraces beginning cyclists, as the staff is more than happy to offer pointers on how to best use your bike. On the website you'll find helpful advice on proper mounting, pedaling, standing pedaling, shifting, braking, steering, and parking. The friendly staff is delighted to answer any questions you may have. Store hours are 10 A.M. to 7 P.M. on Mondays through Saturdays, and 10 A.M. to 5 P.M. on Sundays. Enter your e-mail address on the website to keep updated on in-store specials and biking events in the NY area. Buy State-of-the-Art Bikes in NY! At Continuum Cycles, the staff prides itself on its mechanical prowess with a variety of bikes, as well as historical knowledge of bikes from every era you can imagine. The shop contains a nice selection of bikes, many of which utilize the newest cycling technology. The shop also offers 5-star-quality bike repair. If you're planning to purchase a new bike, but don't know what to do with your old bike, you're in luck. As long as provide a valid I.D. and your cell phone number, you can trade in your bike in store. Store hours are 12-7 P.M. on Mondays through Saturdays. Purchase Bikes Assembled by Skilled Mechanics! If you're thinking of buying a new bicycle, take advice from the competent salespeople and expert mechanics at Tread Bike Shop. You'll be in good hands, as the staff will ensure that you come home with the highest quality bicycle. 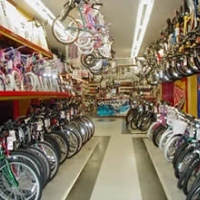 The store is clean and well-maintained with helpful personnel, a great selection of bikes for different people and uses, and an on-site repair department. The staff will also find the right frame size for you, ensuring your comfort and safety. All bikes in shop are assembled by professional bicycle mechanics, and every new bike comes with free brake and gear adjustments for three years. If you're unsure of whether or not to purchase a certain bike, you can feel free to take it for a test ride. Also available is a list of top-quality accessories (i.e. : helmets, locks, pumps, hydration systems, etc.) to go with your new ride. Get Help from Trained Bike Mechanics! 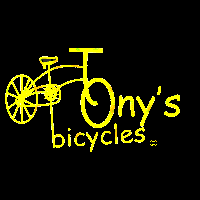 Established in the early 1970's, Tony's Bicycles is staffed with trained mechanics who are certified by such noted cycling companies as Trek, Cannondale, Giant, Raleigh, and Diamondback. In other words, the expertise and skills of these mechanics cannot be matched! 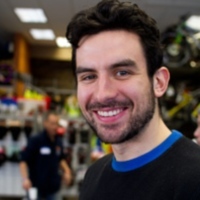 The owner of the store, Tony, has been in the cycling industry for the better part of his life and knows all there is to know about riding and maintaining your bike. When you bring in your bike for repairs, you will be given a free, no-obligation estimate of the work that's needed. One of the service pros will provide you with suggestions, respecting both your choices and your budget. Plus, they're equipped to work on bikes of all makes and models, including ones they don't sell. Store hours are 10 A.M. to 7 P.M. on Mondays through Saturdays, and 10 A.M. to 6 P.M. on Sundays. All Bikes Come with a 1-year Guarantee! Family owned and operated since 1962, Robert's Bicycles caters to riders of all types, including toddlers! Inside you'll discover over 250 bikes on display, along with a slew of accessories. In addition to helping customers select the perfect bicycles to fit their needs, the store provides you with a 1-year guarantee on any bike you purchase. Manufacturers in stock include Specialized, Cannondale, Raleigh, Schwinn, GT, Giant, Bianchi, Diamondback, and TekTro. Store hours are 10 A.M. to 7 P.M. on Mondays, Wednesdays, and Fridays; 10 A.M. to 6 P.M. on Tuesdays and Thursdays, 9:30 A.M. to 6 P.M. on Saturdays, and 11:30 AM. to 4:30 P.M. to Sundays. Check the website regularly for discounts and new arrivals. The Oldest Continuously Owned Bike Shop! Come visit the nation's oldest continuously owned bike shop! Established in 1918, Bellitte Bicycles firmly believes in making the bike purchasing experience a pleasant one. Whether you buy a little baby bike or a fully executed road or mountain bike, you are considered to be a valued customer! The store is an authorized dealer of such brands as Trek, Cannondale, Specialized, Giant, Raleigh, Mongoose, GT, Diamondback, Schwinn, and Dahon. If you're tired of paying an arm and a leg to go biking in New York, take advantage of Bellitte's low price guarantee today! The store is open year round and everyone who purchases a new bike is entitled to free repair services for a year! Find Great Mountain Bikes and Accessories! Specializing in custom road and mountain bikes, Peak Mountain Bike offers free lifetime adjustments on every bike in the store! Purchase bikes from such manufacturers as Kona, Dahon, Santa Cruz, Intense, Scott, and Jamis. In addition to bikes you'll find components, wheels, tires, tubes, racks, child and baby gear, clothing, headwear, helmets, footwear, and other items you'll need for cycling in New York. Also available are hourly and daily bike rentals. The shop hosts (weather-permitting) group rides every Sunday at Cunningham Park in Queens at 9:30 A.M. Store hours are 11 A.M. to 7 P.M. on Tuesdays to Fridays, 10 A.M. to 6 P.M. on Saturdays, and 12-5 P.M. on Sundays. 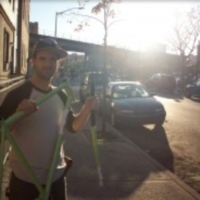 Bikes, Accessories, and Group Bike Rides in NY! 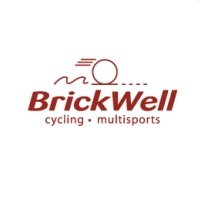 Find a nice assortment of bikes, parts, wheels, tires, tubes, accessories, clothing, helmets, shoes, and car racks at Brickwell Cycling in New York. Bike brands in stock include Cannondale, Dahon, Felt, MirraCo, Orbea, and Trek. Store hours are 10 A.M. to 7 P.M. on Mondays, Tuesdays, Wednesdays, and Fridays; 10 A.M. to 8 P.M. on Thursdays, 10 A.M. to 6 P.M. on Saturdays, and 11 A.M. to 5 P.M. on Sundays. 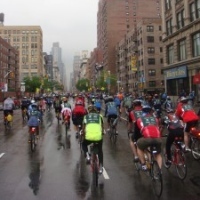 Check the website regularly to keep updated on group runs and bike rides in the New York area, as well as specials and new items at the store. If you're looking for that perfect birthday or holiday gift, Brickwell also offers gift cards. Quality Bike Repairs at Affordable Costs! At the Grand Bicycle Center, the staff strives to offer quality bike repairs at affordable costs and provide customers with the best quality service. The store's honest and caring environment helps the customers feel comfortable in making purchases. Inside you'll find an array of exercise, freestyle, hybrid, mountain, road, and youth bikes. Grand Bicycle offers a 1-year warranty to cover tune-ups for all bikes purchased in store. The service center provides professional maintenance on all makes and models of bikes, expert advice, a free 30-day safety check on all new bikes, and a quick turnaround time on all repairs. Plus, the store can order any dealer-authorized bikes that are not on the floor. The store is easily accessible from the Long Island Expressway. A Great Selection of New Bikes and Accessories! 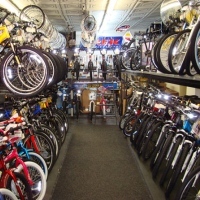 Dedicated to making it easy for you to choose your new bicycle; Bill's Cyclery carries such top brands as Schwinn, Specialized, GT, Haro, Fuji, Mongoose, Dahon, Kent, Masi, and Kettler. 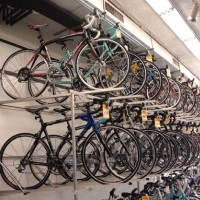 Browse through one of the nicest selections of new bikes and accessories in the NY area! Feel free to test ride any new bike you find in store. The staff at Bill's doesn't just work hard to earn your business, but to earn it over and over again. Expect nothing but topnotch customer service. 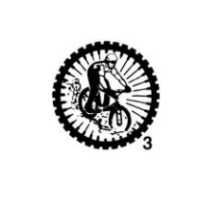 Plus, the assembly and repair mechanics are factory authorized to work on almost any brand of bike, including ones that aren't in the store. Store hours are 10 A.M. to 7 P.M. on Mondays through Fridays, 10 A.M. to 6 P.M. on Saturdays, and 11 A.M. to 3 P.M. on Sundays. Enter your e-mail address on the website to keep updated on the newest specials and events. Daily Bike Rentals in NY! 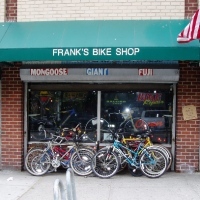 Frank's Bike Shop in NY is an authorized dealer of such brands as Bianchi, Dahon, Fuji, Giant, Montague, Raleigh, Schwinn, and Specialized. In addition to offering bikes for purchase, the store allows you to rent hybrid comfort bikes daily for affordable prices. 2-day and tandem rentals are also available. A valid photo I.D. (i.e. : passport, driver's license) is required for all rentals. Excluding Wednesdays, store hours are 9 A.M. to 7 P.M. on Mondays through Saturdays, and 10 A.M. to 6 P.M. on Sundays. 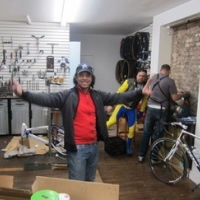 If you have any questions about the shop, please call 212-533-6332 or send an e-mail to sales@franksbikes.com. Directions to the store are available on the website. Get Same Day Bike Repair Service! Conveniently located only a block and a half away from Central Park, the Master Bike Shop is the perfect place to grab a quick pre-ride tune-up or last minute supplies before you go biking in New York. If you need to purchase a new bike; the store contains a generous inventory of road, triathlon, mountain, city, and kids' bikes. Or you can rent a bike for anywhere from 4 hours to the entire day! If you require any sort of bike repairs, same day service is available. Professional bike fitting services are available from a certified cycling coach. Store hours are 10:30 A.M. to 7 P.M. on weekdays, 9:30 A.M. to 6 P.M. on Saturdays, and 10 A.M. to 6 P.M. on Sundays. 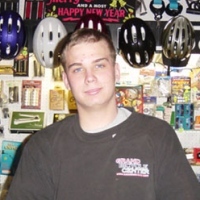 Get Bike Repairs from one of NY's Best Mechanics! Purchase items from such hot cycling brands as All City, Aerospoke, Surly, Haro, LDG, Dodici, FSA, and Brooks at the Bushwick Bike Shop in New York. Benefit from years of experience in repairs, services, and bike products! All bike repairs at the shop are topnotch. The head mechanic, KT, is known to be one of the best bike mechanics in the five boroughs. She also holds classes on bike repair. The overall staff is friendly and knowledgeable, and the prices are inexpensive. Store hours are 11 A.M. to 7 P.M. on weekdays, 11 A.M. to 6 P.M. on Saturdays, and 12-5 P.M. on Sundays. All the Services you need for Biking in NY! 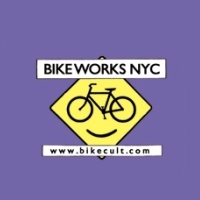 Dedicated to making the world a better place by nurturing the NY bike culture; Bike Works sells all sorts of touring, road, track, and classic bicycles. You'll also find the finest wheel builds with a select variety of rims, hubs, and spokes for all types of bikes. Get expert bike repairs on many types of makes for reasonable rates. Tune-ups and overhauls are available. Do you need custom bike painting? Bike Works will custom refinish your bike, frameset, or its components. If you need cycling clothing--the store carries a variety of T-shirts, caps, gloves, helmets, and other items. Find out why Bike Works was voted one of the "Best Bike Shops in NYC" in Time Out New York in 2011! A Lifetime of Tune-ups on all New Bikes! 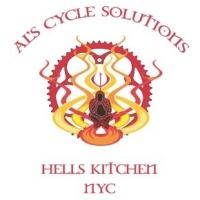 A full-service, family-owned bike shop in New York; Al's Cycle Solutions carries bikes by such brands as Cannondale, Jamis, Bianchi, Dahon, Redline, Torker, Zigo, and Electra. Whether you're looking for a kid's, BMX, comfort, hybrid, mountain, fixie, or road bike--you'll find what you need in stock! All new bikes come with a lifetime of tune-ups and all new road bikes come with a free fitting. Explore the great state of NY by bike when you take advantage of one of the store's daily, hourly, or weekly bike rentals. Both hybrid and road bikes are available to rent 7 days a week. The full-service repair shop will take care of everything from fixing flat tires to complete overhauls. Passionate about Cycling for over 35 Years! An owner-operated NY bike shop with over 35 years of experience, PM Bicycles sells high end road and mountain bikes. All the products sold at the store are absolutely amazing, as the staff is very passionate about what gets sold to the public. The topnotch staff is knowledgeable and highly skilled, possessing the proper expertise to conduct a variety of tasks like properly fitting your bike or building custom wheels. The mechanics at the full-service repair shop are capable of fixing all types of bikes--helping you with everything from fixing flat tires to complete overhauls. If you have any questions, call 718-478-3338 or send an e-mail to metropolisbicycles@hotmail.com. Great Bike Rentals and NY Bike Tours! 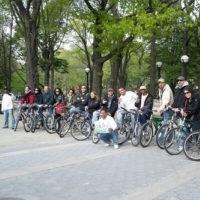 One of the largest bike rental and tour companies in NY, Bike Rental Central Park is conveniently located only 2 blocks away from the famous park. Each year the company's fleet of 200 bikes serves thousands of customers from different parts of the globe. Rent a bike today and explore the beauty of Central Park! A map, helmet, chain-lock, and optional basket will be provided to you at no extra charge. Choose from comfort, hybrid, mountain, and tandem bikes. If you'd rather someone else lead the way, you can book a Central Park guided tour. 2-hour bike tours start daily at 10 A.M., 1 P.M., and 4 P.M. You may even spot some celebrities along the way! Also available are the Brooklyn, New York at Night, Harlem, and All City Tours!